If Someone Posts Your Sext Message Online, What Are You Sexting Rights? 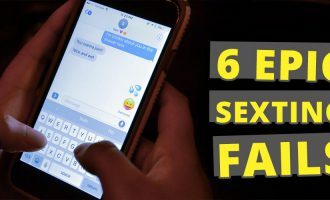 © 2019 sextingfriends.com, All rights reserved. Disclaimer: This website contains adult material. All members and persons appearing on this site have contractually represented to us that they are 18 years of age or older. 18 U.S.C. 2257 Record Keeping Requirements Compliance Statement.